Some days are just made for tees and jeans. Even so, it does not mean that even on those laid back days you cannot look smart and handsome. Your Mind Your World’s stylish mens graphic tees are made for those casual days. Wear it to the beach with your S.O, shop with your friends or just laze in your home with a game going on the television, with Your Mind Your World’s fashionable mens graphic tees, you will always look your handsome best. Wear it with pants, jeans or sweatpants, this cool graphic tees will definitely make you look fabulous in a casual look. Cool colorful edge trim around arms, neck & bottom openings (On Black and White T shirts Only). 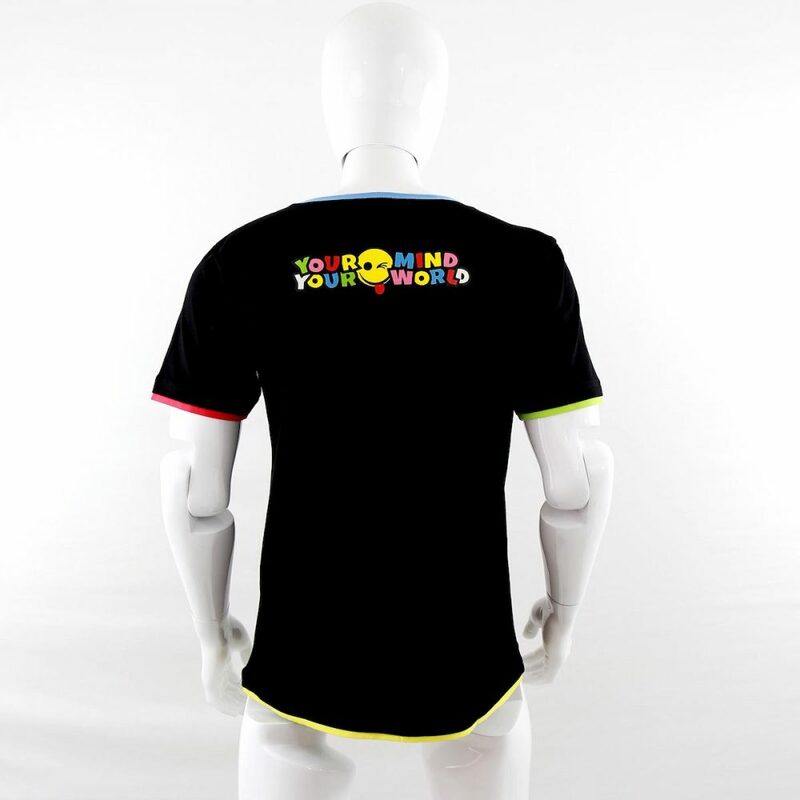 Cool vertical Your Mind Your World logo on front of the shirt. 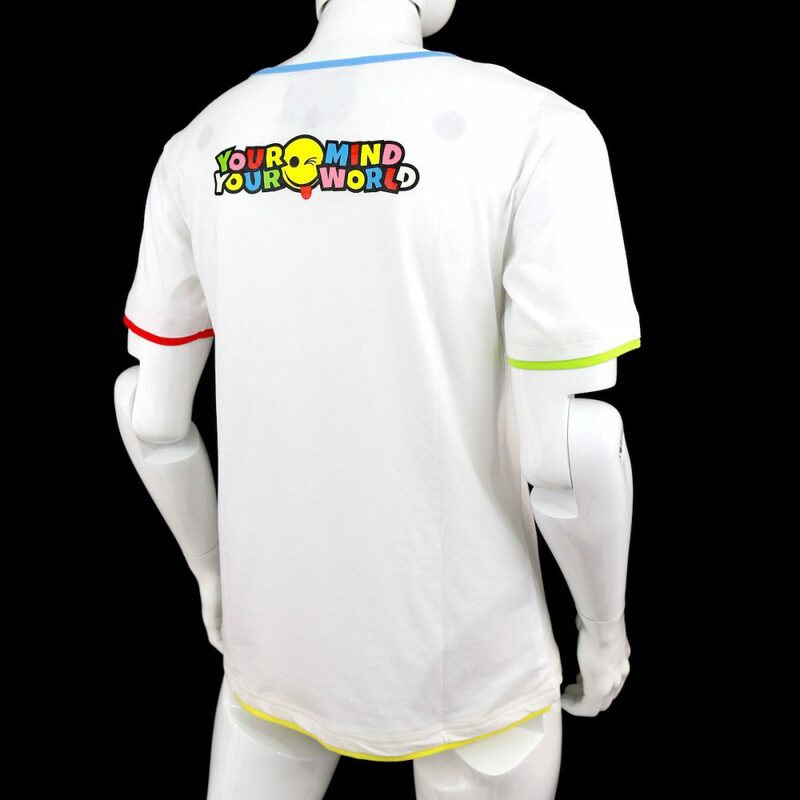 Your Mind Your World logo on the back. The happy and bright colors of our cool mens graphic tees are fused with the positive vibes that are sure to keep you happy and full of positive energy. Your Mind Your World graphic tees for men are here to motivate you with its positive message every time you see it. These graphic T-shirts go perfectly well with our various EDM outfits and rave gear along with our collection of assorted sweatpants for boys and men. 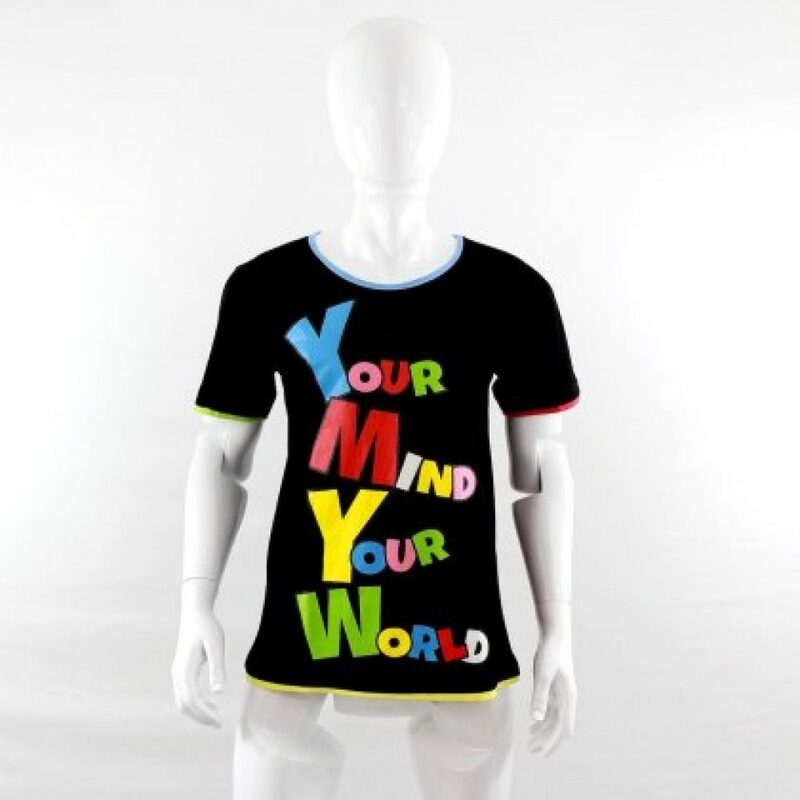 You can showcase your personality and peppy side through the funky yet utterly unique cool T-shirts available at Your Mind Your World.